The Kingdom of Saudi Arabia is known the world over for its great oil wealth, but also for its religious conservatism coupled with absolute monarchy and, perhaps peculiarly, its close relationship with the United States. The preservation of the absolute monarchy into the 21st century has much to do with the orderly management of its petroleum resources – a remarkable feat when one compares the Kingdom with some of its neighbours, whose autocracies have yielded failed states, international pariahs and/or severe civil discontent. Oil is at the centre of the US-Saudi relationship, as American oil companies were the first to gain concessions to explore for oil in the country in 1933. Since then, the United States has played a key role in developing Saudi Arabia’s oil wealth in the early phases of industrialization and in ensuring the security of Saudi oilfields in later years. This was most clearly evidenced in the need for US security in the Gulf War of 1990-1991, but general security for the Kingdom’s territorial integrity and tanker traffic through the Persian Gulf continues to be vital (see also Transport and Export Infrastructure). In 1938, Standard Oil Company of California (Socal – today’s Exxon) struck oil in Dammam, near Dahran, the headquarters of what is today Saudi Aramco, the Saudi national oil company. The Saudi subsidiary was renamed Arabian American Oil Company (Aramco) in 1944, at about the time when additional American companies joined the consortium. The relationship grew closer in the next years, with new finds (including the world’s largest oilfield, Ghawar, in 1948) and ever-growing wealth flowing to the royal court. By 1950 threats of nationalization were advanced in tandem with nationalist trends sweeping the region, and, in response, the Aramco consortium agreed to begin giving the Saudi government 50% of the profits. However, the Saudi government gradually began to gain direct control over Aramco’s operations, acquiring 25% of the company in 1973, which was increased to 60% the following year. This was spurred in part by the Israeli-Arab conflict, with US support for the state of Israel creating the first real rift between the countries. 1973 was also the year that OPEC first showed its teeth, slashing production and causing the price of oil to increase by 70%; OPEC specifically embargoed the United States and the Netherlands for assisting Israel. For Saudi Arabia, as OPEC’s largest oil exporter, it meant a huge increase in revenues, which changed the Kingdom forever. Its net oil-export revenues (in real 2000 US dollars) more than quadrupled from 1972 to 1978, from $19.3 billion to $85.1 billion, despite the fact that the country’s output increased by only 38% in the same period. Saudi Arabia has restricted oil output since the 1973 embargo, but this has been in the context of OPEC price management, and not, at least ostensibly, for political reasons. Thus, while differing in opinion about the formation of OPEC and the state of Israel, Saudi Arabia remained close to US policy through the cold war years. Aramco was fully nationalized in 1980. In November 1988, a royal decree changed its name formally from Arabian American Oil Company (Aramco) to Saudi Arabian Oil Company (Saudi Aramco) and took over the management and operations of Saudi Arabia’s oil and gas fields from Aramco and its partners. Today, Saudi Aramco’s activities span the entire oil and gas supply chain, including exploration, production, refining, chemicals, distribution and marketing, and it is by far the leading oil producer in OPEC. The company’s activities are monitored by the Ministry of Petroleum and Mineral Resources and the Supreme Council for Petroleum and Minerals. 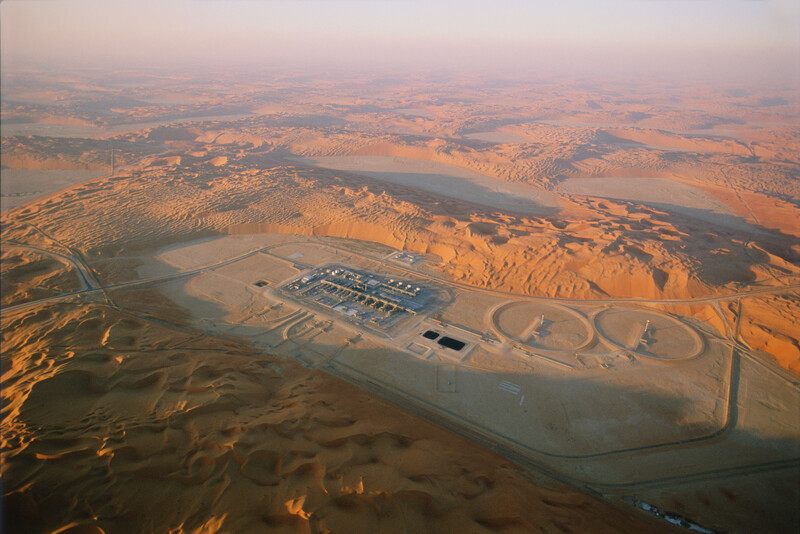 The upstream oil sector is closed to foreign investment (except for contractors that Aramco hires on a fee-for-service basis), but the government allowed four foreign consortia (in joint ventures with Aramco) to explore for non-associated natural gas in the Empty Quarter region early in 2000. Saudi Aramco’s value has been estimated by the Financial Times at up to $10 trillion, making it the world’s most valuable company. The period after the Second World War marked a change in the country’s history, and the latter half of the 20th century saw the Kingdom assume a central position in global energy markets. Saudi Arabia produced an average of 11.6 million barrels per day (mbpd) of total petroleum liquids in 2013, of which 9.6mbpd was crude oil and 2mbpd was non-crude liquids production (natural-gas liquids, NGLs). Petroleum export revenues account for roughly 80% of budget revenues, 45% of GDP and 90% of export earnings. In 2013 export revenues amounted to $274 billion, according to the Energy Information Administration (EIA). It is thus for the maintenance of stability, both internal and external, that the confluence of interrelated factors governing the Kingdom’s oil supplies are so closely monitored by governments, analysts and other stakeholders. Maintaining Saudi Arabia’s huge oil output requires a sophisticated network of wells, pipelines, crude processing facilities and export terminals, which function around the clock to serve the global oil markets. The bulk of Saudi production originates from onshore and offshore fields in the Eastern Province (al-Sharqiya; see Map 2 for location of major oil and gas wells). The Kingdom maintains the world’s largest crude-oil production capacity, estimated to have reached about 12.5mbpd by the end of 2014. Saudi Arabia has the world’s largest oilfield, Ghawar, which, alone, is capable of producing 5mbpd, according to Aramco. Aramco also claims that the offshore Safaniya field, with a production capacity of 1.2mbpd, is the world’s largest offshore field. The viscosity of the crude oil in Saudi fields ranges from super-light to heavy types, with the largest portion in the light range (33° to 34° on the API gravity scale). Lighter grades are generally produced onshore, while medium and heavy grades come mainly from offshore fields. Most Saudi oil production, except for the extra-light and super-light types, is considered sour, that is, it contains high levels of sulphur. This is about twice as much as the next-largest conventional crude-oil reserves, those of Iran (at 138.4bbbl), and nearly 25% of world conventional reserves. Given production levels, outside observers’ estimates before the nationalization of Aramco, evidence presented by Aramco at public forums and anecdotal evidence, it is reasonable to assume that Saudi Arabia’s conventional reserves are by far the largest in the world, even if the actual number is imprecise. Saudi Arabia’s proven reserves are a matter of some contention. Aramco cites a figure from Oil & Gas Journal of 259.9 billion barrels (bbbl) of proven conventional reserves (excluding reserves in tar sands, shale or tight oil). Saudi Arabia has 7.45 trillion cubic metres (m3) of proven reserves of natural gas, according to Aramco, though an independent assessment has it slightly lower, at 7.32 trillion m3. These are the fourth largest in the world, behind Russia, Iran and Qatar. Most of Saudi Arabia’s gas (about 57%) is in associated fields, that is, fields that contain layers of both oil and gas, including some fields mentioned above, such as Ghawar and Safaniya. Some important non-associated fields (the red areas on Map 2) are Mazalij, Manjura, Shaden, Niban, Tinat, al-Waar and Fazran. There have recently been two new natural-gas discoveries offshore, Rabib and Arabiya, which boosted Saudi reserves. The first non-associated offshore gas field to be developed is Karan, where five platforms are under development. Production of the field is expected to be 45 million cubic metres (MCM) per day. Saudi Arabia also produces natural-gas liquids (NGLs) – butane, ethane and propane – that are stripped out at downstream separation plants (discussed in the next section) and condensate, a mixture consisting primarily of pentanes and heavier hydrocarbons that is recovered as a liquid from natural gas in lease separation facilities at the well. NGL production was about 2mbpd in 2013, constituting a significant percentage of total production. The majority of the oil production discussed in the previous subsection is transported to the oil-processing complex at Abqaiq  and then, for NGL, onto the export terminals at Ras al-Juayma, Ras Tanura and Yanbu (see Map 4 for location of terminals) or to refineries. Abqaiq is the world’s largest oil-processing facility and crude stabilization plant , with a crude capacity of 7mbpd. It is operated by Saudi Aramco and processes approximately 70% of Saudi crude oil. The facility’s infrastructure includes pumping stations, gas-oil separation plants (GOSPs), hydro-desulphurization units and an extensive network of pipelines that connects the plants to the aforementioned terminals. Abqaiq was the target of an attempted terrorist attack by al-Qaeda on 24 February 2006 . The news of the attack pushed oil prices up by $2 and led to increased security for oil and gas installations. Nevertheless, threats to Saudi oil and gas facilities continue to worry the global energy market and the Saudi leadership, especially with threats now stemming from Islamic State (IS) in Iraq, with which the Saudis share an 814km border. Map 3 is a schematic overview of the infrastructure linking Khurais, Ghawar and the northern offshore fields with the Abqaiq processing facility. From Abqaiq or other crude-processing facilities, the oil moves to export terminals at Ras Tanura (6mbpd export capacity), Ras al-Juayma (3mbpd export capacity) or some smaller terminal. Most export oil moves through the Strait of Hormuz, which separates Oman and Iran (see Map 2). This chokepoint is vitally important to world markets, given that 17 million barrels of oil flowed through the strait in 2013. More than 85% of the crude oil that moves through this strait is destined for Asian markets. Of Saudi crude, 68% is destined for Asia, 10% for Europe, 19% for the Americas and 3% for elsewhere. By country, however, the United States is still the top importer of Saudi liquids , estimated at 1.5mbpd. In 2013, the next four top importers of Saudi crude and petroleum products, after the United States, were Japan (1.2mbpd), China (1.1mbpd), South Korea (0.9mbpd) and India (0.8mbpd) (according to Global Trade Information Services). Much of the pipeline capacity that is outside the Eastern Region has the dual purpose of serving the Kingdom’s markets in the Western Hemisphere and acting as a back-up export route, which would route Eastern Region oil production west to the export terminal at Yanbu on the Red Sea, should a security problem ever close the Strait of Hormuz. Saudi Arabia has the 1200km Petroline, also known as the East-West pipeline, which runs across Saudi Arabia, from the Abqaiq complex to the Red Sea. The Petroline system consists of two pipelines, with a total nameplate (installed) capacity of about 4.8mbpd. Saudi Arabia also operates the Abqaiq-Yanbu NGL pipeline, which has a capacity of 290,000bpd and serves petrochemical plants in Yanbu. A 380km multi-products line between Dhahran, in the Eastern Province, and Riyadh, and a smaller 354km multi-products line between Riyadh and Qassim (to the north) were also built in the 1980s. Saudi Arabia’s only functioning international crude pipeline system is a 60-year-old complex of four small underwater pipelines carrying Arabian light crude from Saudi Arabia’s Abu Safa field to Bahrain. This aging pipeline system is expected to be decommissioned after the construction of a new pipeline with a capacity of 350,000bpd running between Abqaiq and Bahrain’s refinery at Sitra. The new pipeline is expected to be completed in the third quarter of 2016. The hydrocarbons processed in the gas-oil separation facilities (GOSPs) supply much of the crude oil as well as natural gas used in Saudi Arabia’s petrochemical industry. In addition to Abqaiq, processing facilities include the Khursaniya gas plant, which can process 28MCM of associated gas (gas produced from oilfields) per day and produce 15.9MCM per day of sales gas (methane ready for market) and 280,000bpd of NGLs. Other important assets include gas-processing units at the Juayma and Yanbu gas plants. Saudi Arabia does not export natural gas but uses it domestically for electricity generation, as petrochemical feedstock and to power oil and gas operations and desalinization plants. Domestic gas transport is controlled by the Master Gas System (MGS). Before the MGS (established in 1975), all of Saudi Arabia’s natural gas output was flared (burned off as waste). The MGS feeds gas to the industrial cities, including Yanbu on the Red Sea and Jubail. To supply natural gas to the expanded gas-processing facilities, several additions to the MGS are in the planning phase or under construction. The largest pipeline to be built is the 212km line to the Rabigh complex and to the Yanbu NGL processing facility. Four other pipelines will connect Manifa to the Khursaniya gas plant and to Ras al-Zour for gas processing and power production. Saudi Arabia has a large refinery capacity, consisting of four refineries 100% owned by Aramco (at Jeddah, Ras Tanura, Riyadh and Yanbu); and three joint-venture refineries (the SAMREF refinery 50% owned by ExxonMobil, the SASREF refinery 50% owned by Shell and the Petro Rabigh refinery 62.5% owned by Sumitomo Chemical). In 2014, Yanbu Aramco Sinopec Refining Company (YASREF) Limited, a joint venture with the Chinese Petrochemical Corporation (Sinopec), capable of processing up to 400,000bpd of Arab heavy crude oil from Manif, came online. Saudi Arabia has grown to be a very large consumer of petroleum products. This is due in part to the heavy retail subsidies on petroleum products as well as the high level of industrial activity associated with petroleum products in the Kingdom. Saudi Arabia is the largest oil-consuming nation in the Middle East, at 2.9mbpd of oil in 2013, almost double its consumption in 2000. Underpinning Saudi Arabia’s dominant role in the oil cartel is its massive infrastructure. No other producer in the cartel approaches the Saudi production capacity, which effectively gives Saudi Arabia the ability to manipulate the global crude oil markets (see Figure 3 for comparison of spare capacity). As mentioned in the introduction to this section, the Kingdom has gone to great lengths to portray its role as market stabilizer rather than cartel leader. Such an interpretation is euphemistic, as the objective of Saudi policy, as of any cartel, is to manipulate prices in the cartel’s favour and throttle competition. The cartel’s objectives have, at times, prompted its leading producer to shock markets or increase oil production to offset price increases that might adversely affect longer term supply  . The intricacies of Saudi production policy are discussed in the section of the Saudi response to the US light tight oil (LTO) surge. Figure 4 shows that OPEC production constitutes 39.4% of daily world oil supply. Saudi Arabia is the largest producer in OPEC. Furthermore, Iran has been under sanction, Iraq has not been part of the quota system, Libya has experienced severe outages in the post-revolution period, Nigeria has been a victim of sabotage and Venezuela has experienced fiscal problems. This has effectively left the UAE, Kuwait and Saudi Arabia to play the dominant role in the cartel, with Saudi Arabia in the lead. The uptick in US LTO, colloquially referred to as “shale oil”, has seen the United States grow oil production by some 4mbpd since 2008. The amount of oil from the US LTO surge is larger than the production of any single OPEC member except Saudi Arabia and has thus been a direct challenge to OPEC and more specifically to OPEC’s de facto leader, Saudi Arabia. Saudi policy is studied with a scrutiny comparable to that experienced by the US Federal Reserve Bank, European Central Bank and other central banks of comparable importance, simply because of its ability to manipulate the crude-oil market. Its response (or lack of response) to the US LTO surge is a debated topic, and the latest OPEC meeting in Vienna, on 27 November 2014, is arguably the first time a clear decision with respect to the LTO surge has been taken. Figure 5 plots Saudi production movements (in pink) in response to the price of crude oil (in blue), demonstrating the Kingdom’s effort to target prices. In recent years, Saudi Arabia’s (and hence OPEC’s) target price has been known, as the long-serving Saudi Oil Minister Ali al-Naimi has occasionally communicated the price that Saudi Arabia considers “fair”. This has, however, been a moving target, as revisions are made each fiscal year to the Saudi budget, with commensurate adjustments to the price for crude oil that Saudi Arabia wants to receive. Energy is the backbone of the Saudi economy, and the diligent use of its revenue has been crucial to maintaining stability within a kingdom ruled by an absolute monarchy. The high youth unemployment plaguing the region – which is considered to be one of the triggers of the Arab Spring – also affects Saudi Arabia. Despite maintaining a per capita GDP of $31,300 at purchasing power parity (PPP) and holding $739.5 billion (estimated 31 December 2013), the country feels the pressure to increase Saudi participation in the workforce and ensure a living wage (and to achieve these goals in a sustainable manner). Having such a disproportionate percentage (60%) of the population under the age of 30 means that the challenge of creating sufficient job opportunities remains a lingering problem and one set to grow in the coming years, as the population is highly skewed towards the young end of the population. One effort to address this problem is known as “Saudization”, which entails substituting expatriate labour with Saudi labour. With an estimated 6 million expatriates employed in the Saudi economy, the scope for progress, quantitatively, is high. Indeed, efforts to increase the numbers of Saudi nationals in the workforce and reduce dependence on expatriates at Saudi Aramco have been successful; 87% of the workforce is now Saudi, but the oil and gas industry is capital-intensive, so it will never be able to support mass employment in the Kingdom. Instead, much of the opportunity for Saudization is in the services sector. In addition to Saudization, increasing the role of women in the workplace will do much to supplement household income. There has been a dramatic rise in recent years in the unemployment rate of women (Figure 7). The Saudi Arabian government planned to spend $228 billion in 2014, up 4.3% from the year before. The recent 30% decline in world oil prices has led many to question the ability of key oil-exporting nations, including Saudi Arabia, to balance their budgets in the new price environment. This has inevitably led to questions about OPEC’s response. The question has chiefly concerned whether the cartel would cut production or leave output steady. The latter choice would almost certainly maintain or even decrease the current crude-oil price and, with it, state revenues. Figure 8 charts the price of oil with break-even values for the budgets of key oil-exporting countries. Since October 2014 Saudi Arabia has been below the break-even value, and it is unknown how much longer the Kingdom would be willing to run a deficit – and, if it chooses to run a deficit, what benefits it expects. Many analysts suspect that Saudi Arabia would be willing to run this deficit only in an effort to squeeze competitors out of the marketplace, hence increasing OPEC’s market power. The obvious target in this case is high-cost LTO production in the United States and, to a lesser extent, the Canadian oil sands. OPEC ministers met on 27 November 2014 to decide which course of action to take with their production. The results of the meeting seem to point conclusively to the cartel confronting US LTO. The decision not to cut production means that OPEC collectively maintained output at 30mbpd from December 2014 to April 2015. This decision is, however, not really a collective one. The OPEC meeting of 27 November 2014 followed the 24 November P5 +1 meeting regarding Iran’s nuclear programme, in which the possible lifting of sanctions against the OPEC producer was discussed. Iranian Oil Minister Bijan Namdar Zanganeh predicted that oil exports could double within two months, were the sanctions to be lifted (see Country Report: Iran). The outcome of the meeting was an extension to the sanctions regime until June 2015, when talks are set to resume. With the results in from the nuclear talks, Libya, Iran and Nigeria (one of two sub-Saharan African producers) have effectively continued to “cut involuntarily” since OPEC’s last coordinated reduction. Libyan output is 49% lower since the 2008 action, as militias battle for control of the country (see Country Report: Libya), while Iran’s is down 28% amid sanctions. Nigeria also lost 300kbpd of oil to theft and sabotage in 2013, according to the Nigerian National Petroleum Corporation. All of this means that the decision essentially came down to Saudi Arabia, who would provide the lion’s share of the ability to cut production. Saudi Arabia made it known in advance that any action, if required, would require a commitment from all members, but this was not a realistic expectation. Indeed, according to the Petroleum Economist, information emerged after the meeting that Saudi Arabia would have been willing to cut production only if Mexico and Russia participated. The stakes have been high, as the International Energy Agency (IEA) has warned that the price slide could continue into the first half of 2015. Indeed, in the wake of the meeting, the price slid below $70/bbl on 28 November 2014 (down from $115 in June 2014). It appears that the course is set for a direct confrontation with US LTO. IEA chief economist Fatih Birol said in late 2014 that the sharp decline in oil prices was good news for consumers but threatened investments in future supply, warning that US capital spending could drop by 10% in 2015 if oil prices were to remain at current levels. Later the same day, the US EIA trimmed its forecast of US crude production in 2015 by an average of 80,000bpd, saying drilling activity was likely to be lower because of an expected average price below $78/bbl for West Texas Intermediate (WTI) crude. As can be seen in the graphic below, most LTO reserves are not economically exploitable below $70. Prince al-Waleed bin Talal, an influential businessman, called lower prices a “catastrophe” and expressed astonishment that the government was not attempting to push them back up. Yet Saudi Arabia’s long-term interest may, in fact, be served by a period of cheaper oil. Unlike most other exporters, it can afford one. Though public spending has risen in recent years, Saudi foreign reserves have risen as well. Net foreign assets were $737 billion in August 2014 – over three years’ current spending. It could finance decades of deficits by borrowing from its own reserves, even if oil were cheaper than it is now. The Saudis might conclude that the main beneficiaries of expensive oil have been non-members of OPEC. A period of cheaper oil could drive some high-cost operators out of business, discourage investment in others and let the Saudis regain market share. Since the OPEC meeting on 27 November 2014, the market capitalization of Apache and Marathon has fallen by 11%, of EOG Resources by 6.8% and of Continental (one of the largest players in the LTO space) by 20%. It remains to be seen whether Saudi Arabia can reduce the production capacity of these players in the medium term. The state-owned Saudi Electricity Company (SEC) is the largest provider of electricity in Saudi Arabia, with total available generating capacity of 58 gigawatts (GW). The state-owned Saline Water Conversion Corporation (SWCC), which provides most of Saudi Arabia’s desalinated water, is the second-largest generator of electricity. There are also independent power producers (IPPs), which sell to another state entity, the Water & Electricity Company (WEC). According to the BP Statistical Review of World Energy 2014, Saudi Arabia generated 292.2 billion kilowatt-hours (kWh) of electricity in 2013, 7% more than in 2012 and more than twice as much as in 2000. Like many developing countries in the Middle East and North Africa, Saudi Arabia faces a sharply rising demand for power. Demand is driven by population growth, a rapidly expanding industrial sector led by the development of petrochemical cities, high demand for air conditioning during the summer months and heavily subsidized electricity rates. Saudi Arabia is one of the few countries that burn crude oil directly for electricity generation. Normally, less expensive fuel oil is used by oil-fired generating plants worldwide. Direct combustion of crude oil for power generation reached an average of 0.7mbpd from 2009 to 2013 during the months of June to September, according to the Joint Oil Data Initiative (JODI). The SEC has plans to reduce direct crude-burn for electricity generation by more than 500,000bpd by switching to natural gas. However, this has put stress on the generation sector, particularly as the government has preferred to bring on natural-gas-fired (rather than petroleum-fired) power plants because the gas to power these plants has not always been available. In late 2008, the government unveiled plans to invest about $53 billion in electricity generation by 2015. This includes a $21 billion programme for nine independent power projects that would add 9,360 megawatts (MW) to capacity, and a $1 billion contract to add 30 gas turbines to the Riyadh Power Plant to produce an additional 2,000 MW. The King Abdullah City for Atomic and Renewable Energy (K.A. CARE) programme seeks to ensure that half of the electricity generated in Saudi Arabia comes from renewable sources by 2032, when the forecasted growth in electricity demand will require that power-generation capacity be increased to 120GW. The increased use of renewable sources allows for more oil and natural gas originally allocated for domestic power be freed up for export. In the interim, Saudi Arabia is participating in the Gulf Cooperation Council’s efforts to link the power grids of member countries to reduce shortages during peak-power periods. Saudi Arabia does not use coal to generate electricity and has no significant hydropower resources. An historical account of this initiative is provided in the downloadable publication from The International Energy Forum, IEF: Twenty Years of Producer-Consumer Dialogue in a Changing World. Central Intelligence Agency: The World Factbook. US Energy Information Administration (EIA). Not to be confused with the Abqaiq oilfield, the Kingdom’s ninth largest by production capacity. This is where water, solids and volatile chemicals are removed and the oil is prepared for safe transport. A review of this incident and the security ramifications are detailed in an article by the Center for Strategic and International Studies, “The Impact of the Abqaiq Attack on Saudi Energy Security”. Including both crude oil and liquid petroleum products – in other words, including refined crude-oil products as well as products identical to those produced in refineries but originating at the well head in this form. “Shock” refers here to a drastic cut in exports. A shock occurred in the 1980s, when Saudi Arabia dropped its crude-oil production from nearly 10mbpd in 1981 to less than 2.5mbpd in some months of 1985, in an attempt to drive up prices. Figure 4 details swing production behaviour in the 2000s.